Arcteryx Squid Ink Strato Jacket | Arc'teryx Men Online Sale! Big Mountain Skiing / Ski/Snowboard Designed for snowsports devotees seeking layering warmth and comfort, the Strato Jacket is made with the distinctively textured Polartec Thermal Pro Cobble fleece. 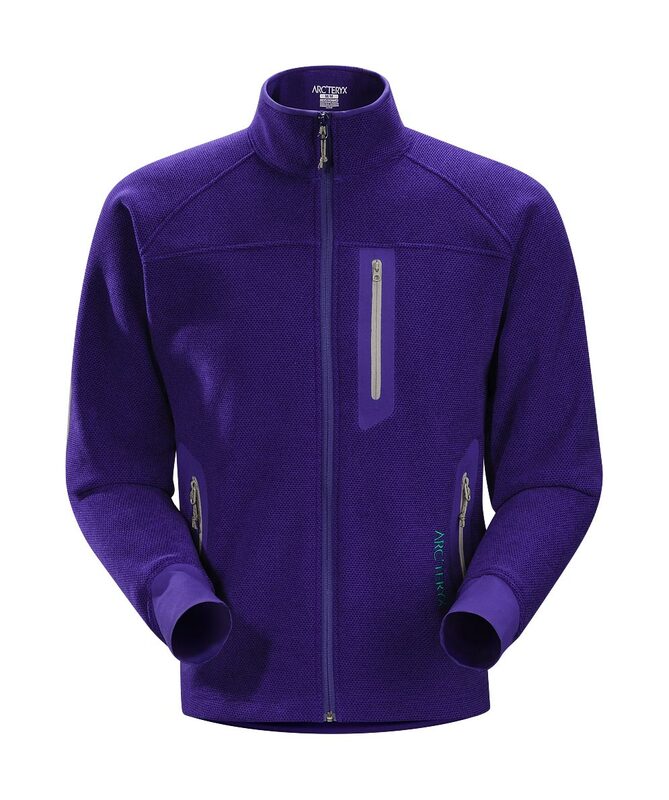 This relaxed fitting jacket breathes well and wicks moisture, crossing easily from casual to active terrain. Featuring snow shedding low-profile stretch-knit cuffs for easy layering and a chest pocket with internal headphone port. Schoeller Dynamic��Nylon/Spandex blend Machine wash in cold water.